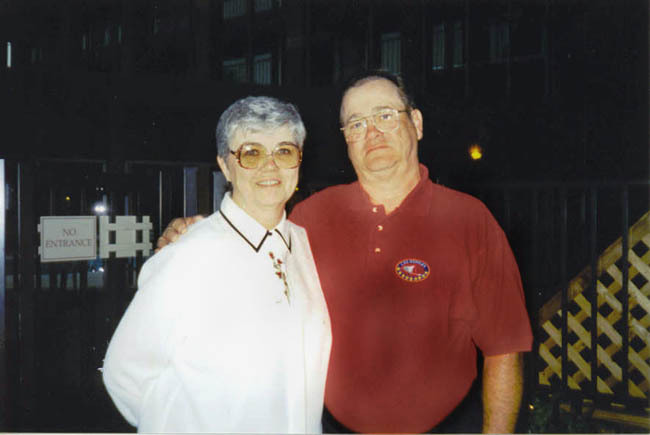 Reunion 2001 - Joan & Bob Rourk (64-66) (Brooks) (r01b0533). 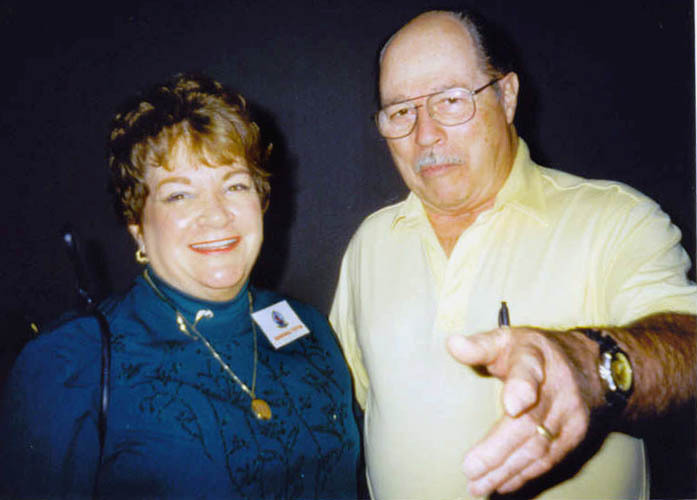 Reunion 2001 - Curtis and Doris Brooks (64-66) (Brooks) (r01b0534). 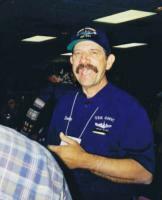 Reunion 2001 - Jim Dodd 64-66 (Brooks) (r01b0538). 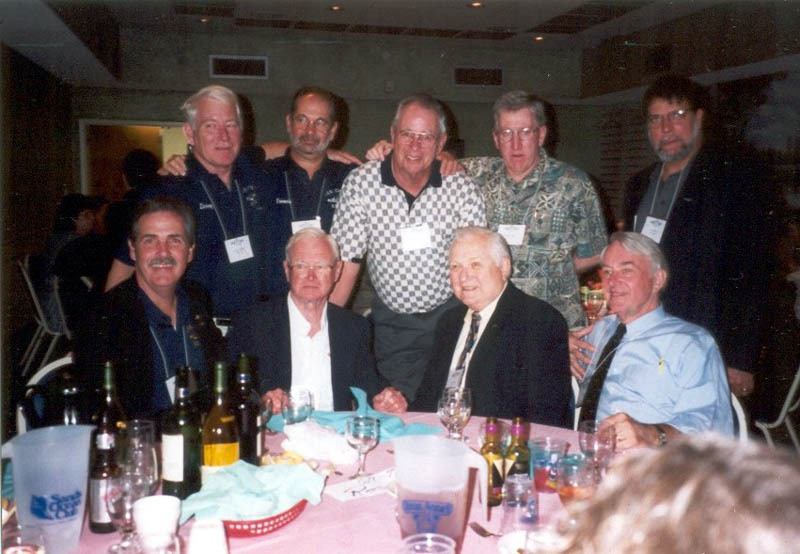 Reunion 2001 - Send the names to Stan (Brooks) (r01b0542). 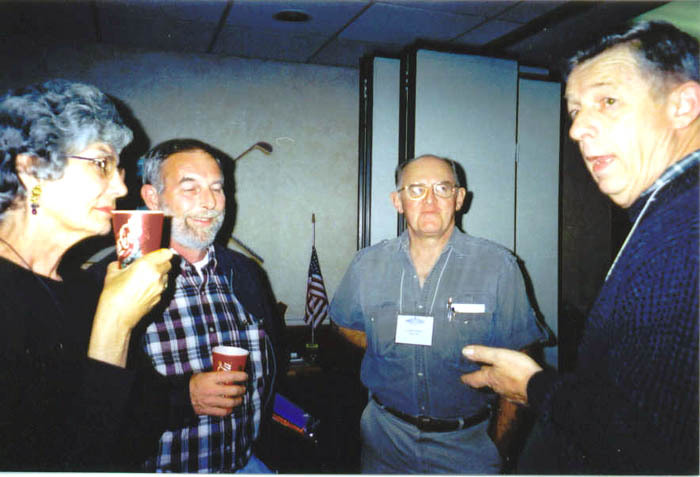 Reunion 2001 - ?, Jim Dodd, ?, ? 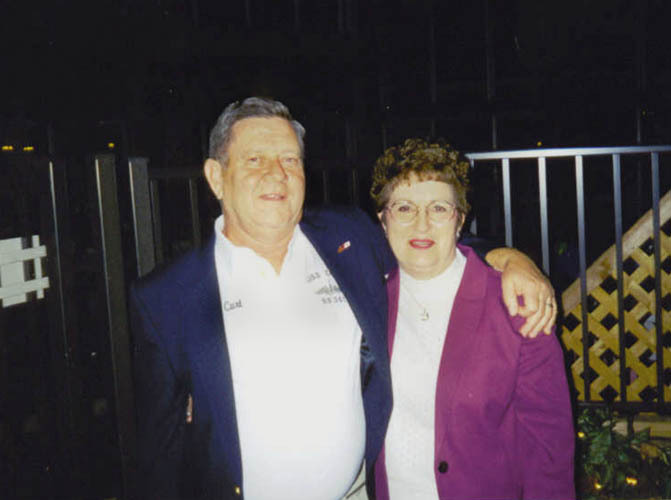 - Send the names to Stan (Brooks) (r01b0552). 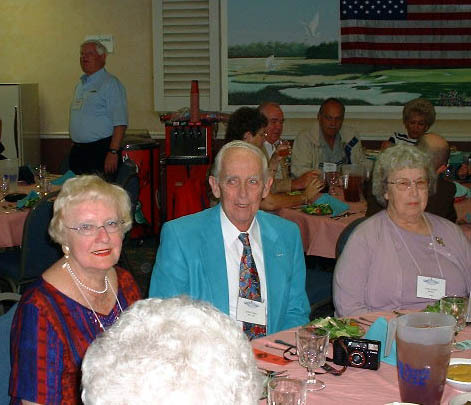 Reunion 2001 - David Scott 1965 (Brooks) (r01b0558). 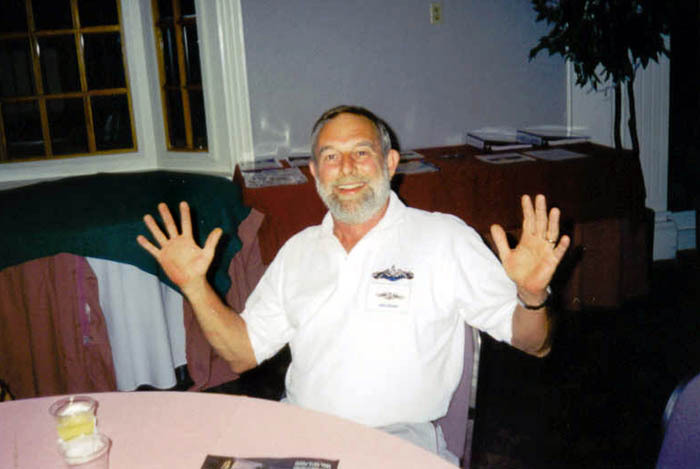 Reunion 2001 - Robert Kuphal (64-66) (Brooks) (r01b0562). 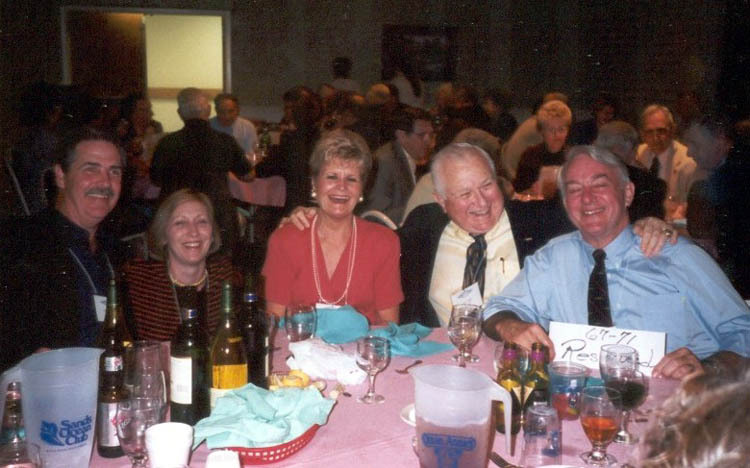 Oct 2001 - (L to R) Art and Sheila Dunn, Virginia and Linn Young, and Brent Taylor share some laughs at the reunion banquet (Taylor) (r01t0267). 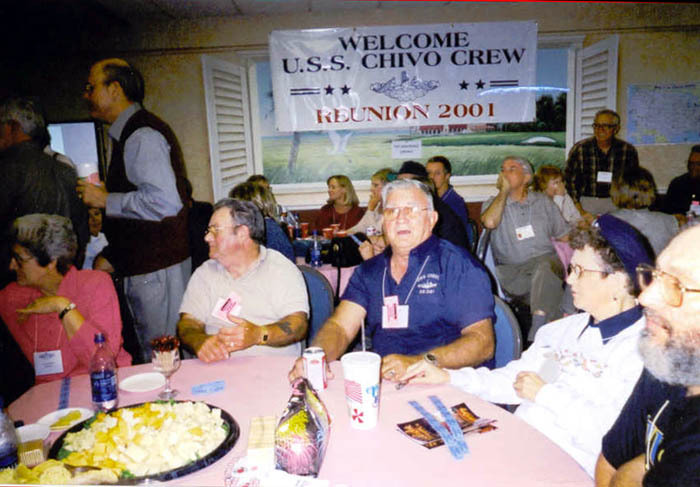 Reunion 2001 - This might be labeled "Chivo's Wardroom in the late 60's" but what's Daigle doing in the picture? 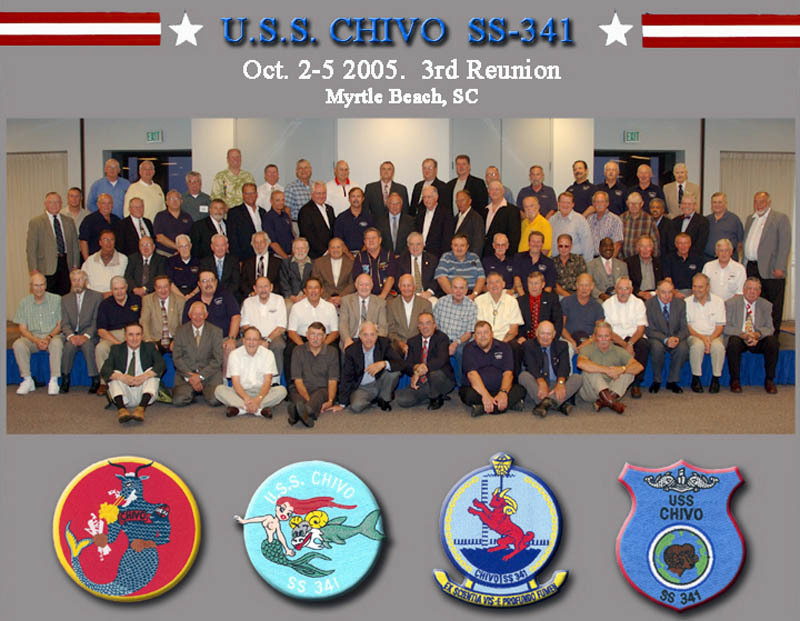 (Taylor) (r01t0301). 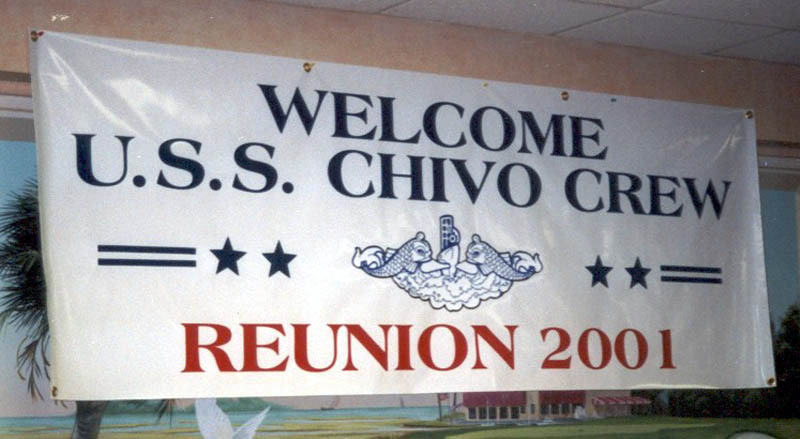 Reunion 2001 - Our new brow canvas, and yes, we can change the year numbers (Taylor) (r01t0305). Reunion 2001 - (L to R) John Hagen (47-49), Sherman Creson (48-49), Gino D'Angelo (47-49) and one unknown - send his name to Stan (Whitney) (r01w0285). 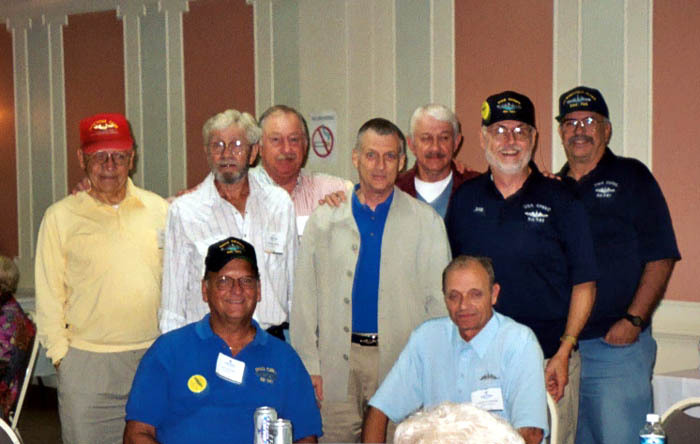 Reunion 2001 - Please send the names to Stan (Whitney) (r01w0350). 60's Mini Reunion - Chasn 2002 - Charles Tiffin (60-62) and his wife (Brooks) (r02b0532). 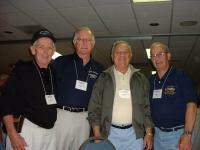 October 2003 - The early 60's crew at the Norfolk reunion (Cobb) (r03c0687). 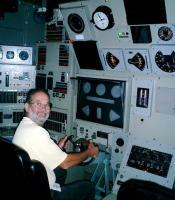 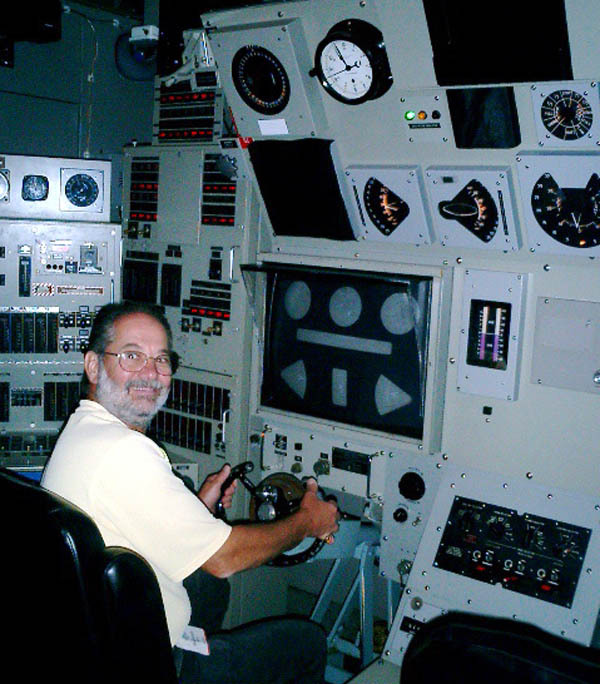 Reunion 2003 - EN2(SS) Francis Daigle (68-70) on the diving trainer (Dean) (r03d0722). 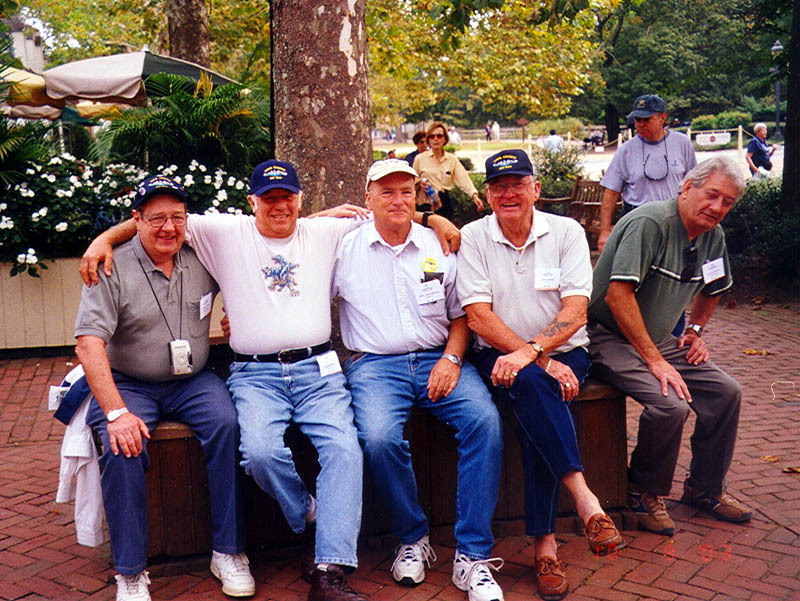 Williamsburg Tour 2003 - (L to R) "Wolgy" Wolgamuth, "Cornstalk" Reitz, Jack Norton, Jack Cooper, and Doug Johnson (Hedum) (r03h1088). 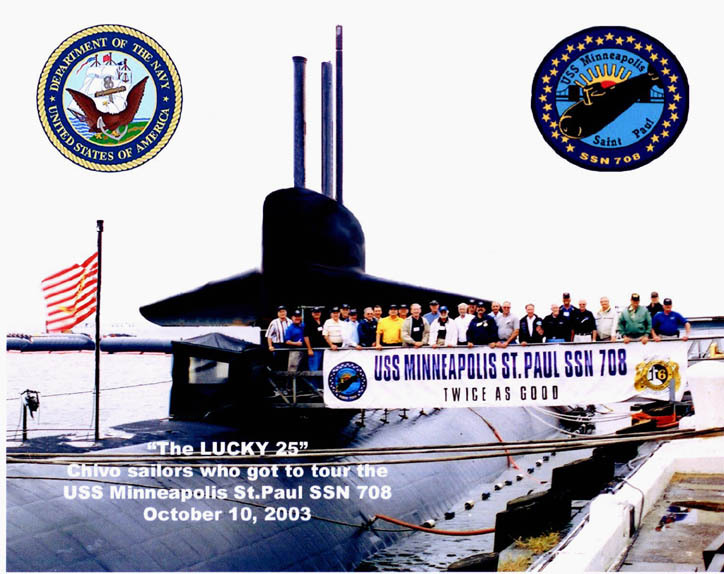 Norfolk Reunion 2003 - 25 of us got to tour the USS Minneapolis-St. Paul (SSN 708) (Pollard) (r03p0760). 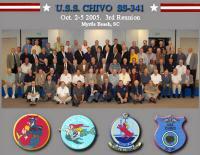 Our Crew at Reunion 2005 - (Pedrick) (r05w1082).